is making an eternal difference. We are the directors of the Thailand Semester by APSAI (Asia Pacific Student Abroad Initiative). Together with our fellow Assemblies of God missionaries, churches, and para-church ministries, we work to train up the next generation of missionaries and church leaders while passionately sharing the Good News with children and families in our Thai community. Christ said that the opportunities for the harvest would be great, but the workers would be few, and this has never been more true than it is today in Thailand. The harvest is great...but there are so few workers. Lord, send us workers for the harvest. We see our purpose in Thailand to be facilitators of the Word, whether working through our APSAI university students or in direct discipleship and mentoring of our Thai friends and neighbors. Our goal is to see that everyone in Thailand has an opportunity to experience the love of God and to understand His desire for them to be a part of the family of God. 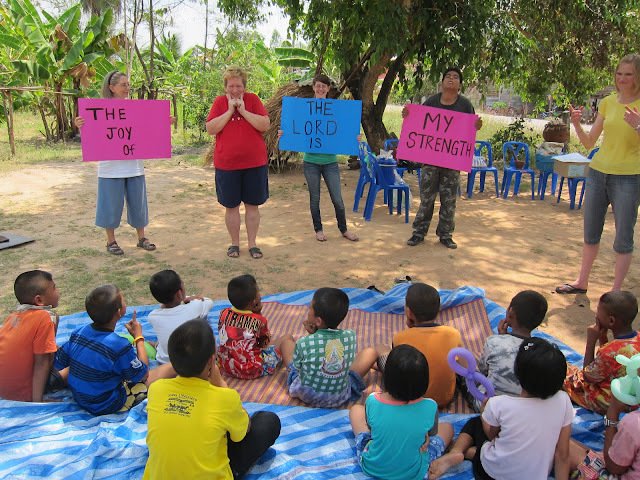 Prayerfully consider joining our team, either as a prayer and financial supporter or as a member of our ministry team in Thailand. A month, a year, or a lifetime, whatever the length of service, your presence with us in Thailand will have an eternal impact on the students you serve. Teams! 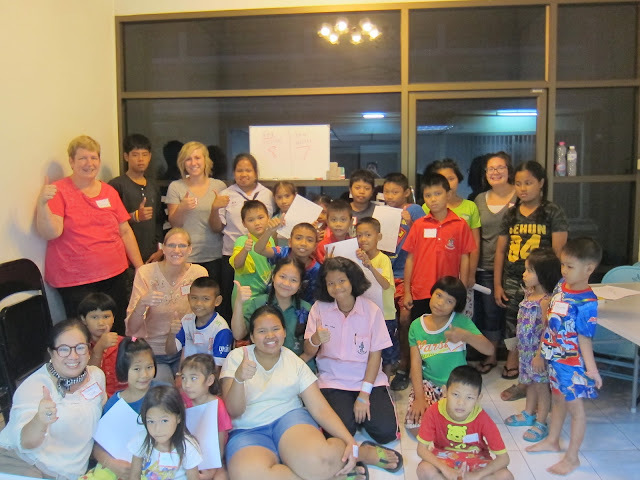 Why should a church small group or family consider visiting us in Thailand? The answer may not be what you'd expect. 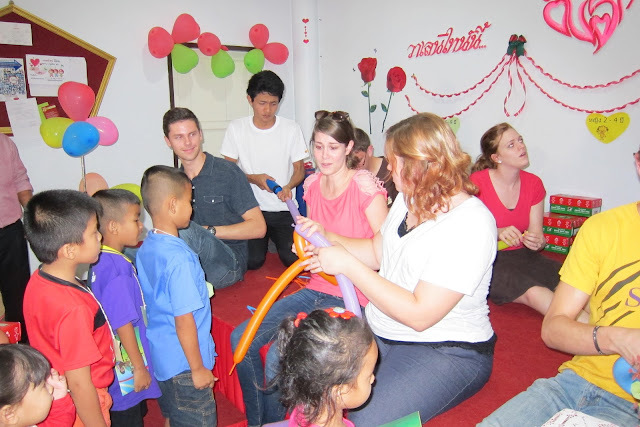 First, when small groups or families come to visit us, it is a major encouragement to us. Thank about it, we're 11,000 air miles from home, and we're parked at that distance for four or five years. It gets lonely! Your small group or family team may be just what we need to lift us out of the pit and get us back on track with the work God has called us to do. Second, in all of our ministry areas, we can use more American helpers. Your presence with us in Thailand increases our credibility in the communities where we serve, and it allows us to do greater work than we could do by ourselves. Third, we may be able to see the Holy Spirit working in your life to not only reconfirm our call but to call you to a greater work, perhaps even among the never-reached peoples of Thailand. But, it's it expensive to come to Thailand for a short-term trip? The answer may not be what you'd expect. For the past two years, we've been able to bring over teams and students for less than $900 round trip. Now, be sure, this low price means avoiding the expensive summer season and beginning your travel on historically less expensive days, but it can be done. Even in the high season, if you buy smart, you can get to us for under $1,200 per person. Once on the ground, if you're willing to stay in our facilities and enjoy the awesome Thai food that will be available everywhere we go, your daily on the ground cost could be as low as $40. So, for a 10-day trip, which will net you 7 full days in Thailand, your total cost could be as low as $1,200 and not much more than $1,500. Extend that out to a full two-week trip (11 days in country), and your trip will cost between $1,400 and $1,700. You'd be hard pressed to do better than that anywhere, including within parts of North American. But, wait, I don't even speak the language in Thailand. How can I possibly make a difference? The answer may not be what you'd expect. First, reflect back on the three reasons above for visiting us in Thailand. You only need to speak English to encourage us. Second, your English speaking skills are actually part of what makes you so popular among the children and youth in our community. Finally, we'll have someone with you each time we go out on ministry who can take care of the Thai speaking. So, you see, we need you! It won't cost you an arm and a leg! And, you will make a difference in our lives and the lives of those you serve while you're with us. We are booking small groups and family teams now for Christmas 2019 and throughout 2020. Message us on our Facebook Page if you'd like more information on how you can join us for a week or two, or even longer.